Since its inception in 1995, the Warped Tour has become a summer tradition for an entire generation. Started as an alternative tour for punk rock bands, it now hosts a variety of alternative genres and has become one of the largest, most diverse summer tours. 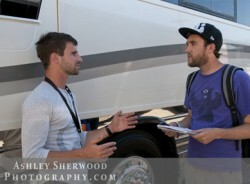 This is part one in my seven part series featuring interviews from this years Warped Tour. 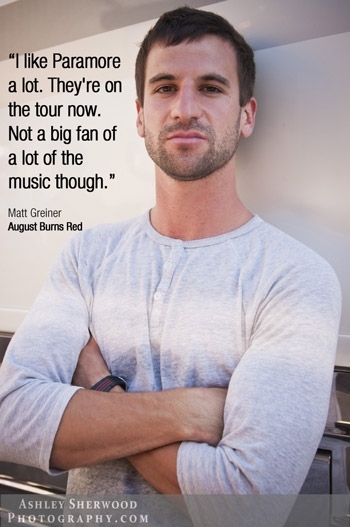 Here I spoke with Matt Greiner, the drummer for August Burns Red. Scene Point Blank: Thank you for taking the time to speak with me. How’s the tour been going so far? Matt Greiner: Tour’s been going great, started the tour three weeks ago and the bands are all awesome. I like doing the Warped Tour because obviously we're on a bus; hard to do this tour in a van, so we have to do it in a bus with a lot of crew. It's not easy as a band but you sorta have a good routine because everyday it's the same set up. Parking lot, play the show, signings. Scene Point Blank: Are you normally in a van? Matt Greiner: We switch in between. We do bus tours when we need a lot of crew and we do van tours when we don't need a lot of crew; when we do shorter tours. Scene Point Blank: Anyone in particular you've enjoyed seeing this year? 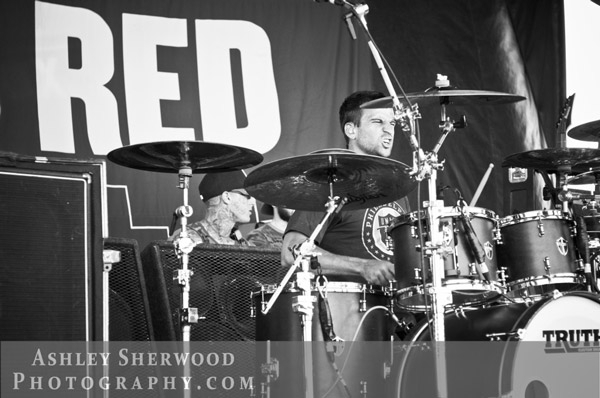 Matt Greiner: Yeah, I love Bad Rabbits. Scene Point Blank: Every single band has said that so far that we’ve interviewed. Matt Greiner: Yeah. I like Paramore a lot. They're on the tour now. Umm, not a big fan of a lot of the music though. Scene Point Blank: Anyone on the tour you've warmed up to? Matt Greiner: Yeah, I like the Devil Wears Prada; I'm into them. I like the Aggrolites a lot. A lot of good bands on the AP stage. Scene Point Blank: You mentioned you liked Paramore, would you ever consider having Haley in an August Burns Red song? Scene Point Blank: Did you attend Warped when you were younger? Matt Greiner: I did, yeah. I actually went in 2004 with my guitarist JB and we passed out demos. Back when we started writing music, we went to promote the band. I checked out a bunch of bands that year, Underoath, Story of the Year. Scene Point Blank: Who was your favorite that year? Matt Greiner: Underoath I'd say, yeah. Scene Point Blank: Are you fan of that band? Matt Greiner: Yeah I am, they had just released Chasing Safety that year so it was pretty crazy. Scene Point Blank: Favorite stop so far on the tour? Matt Greiner: Chicago, great show. Words by Chad Raynard on Aug. 13, 2011, 2:03 a.m.
Posted by Chad Raynard on Aug. 13, 2011, 2:03 a.m.
Posted Feb. 28, 2013, 5:26 p.m.
Posted Aug. 17, 2012, 10:58 p.m.
Posted July 21, 2012, 12:21 a.m.